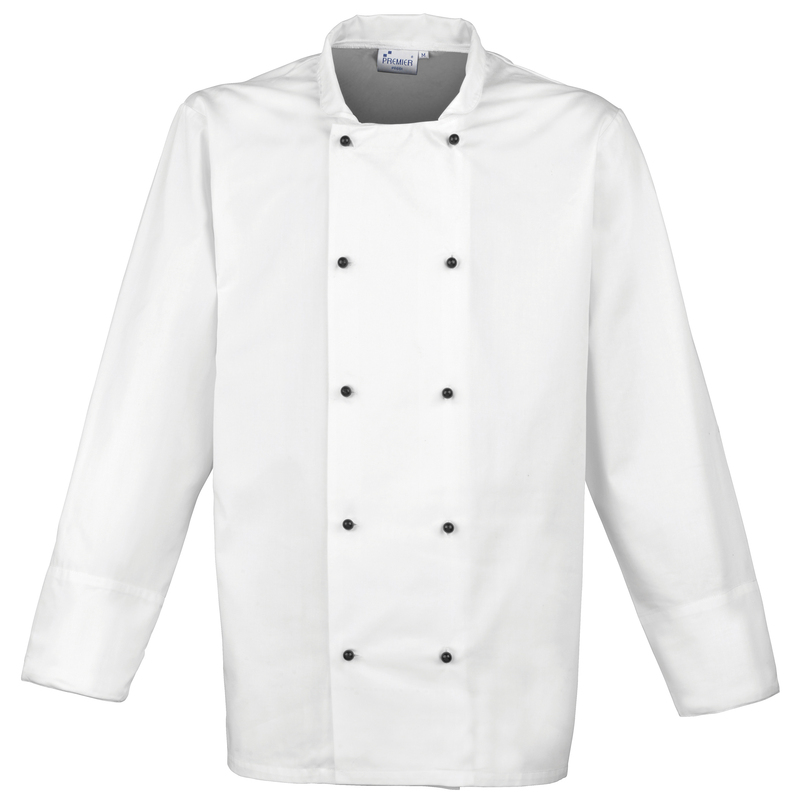 Personalised embroidered chef’s jacket. Long sleeves. Superior overall comfort. Soft hand feel. Mandarin collar stand with topstitching. Removable studs. Unisex styling. Comes with black studs (other stud colours available at additional cost please email). 10 hole wrap over fastening. Turn back split cuff.